NORTHRIDGE, California — Taking advantage of the power of Crown’s I-Tech HD series amplifiers and versatility of the Studer Vista 5SR console, California-based Sound Image deployed 80 I-Tech HD amplifiers and a Studer Vista 5SR for use on country music star Taylor Swift’s tour throughout North America. “I’ve worked with the Studer Vista 5SR before. We had it since the summer and I loved it from the first sound check. 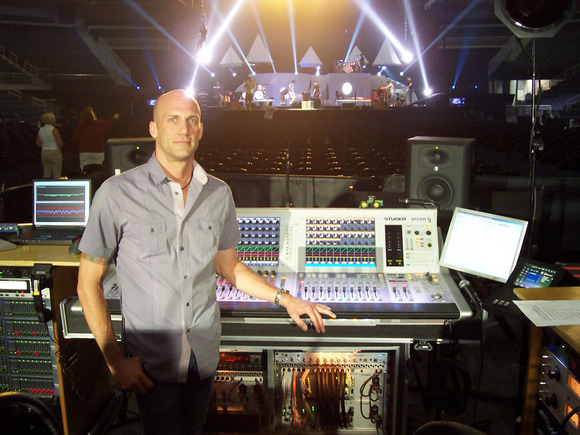 It’s been the most reliable digital console I’ve used and I’ve found it to be a very easy platform overall,” Fischer adds. Additionally, Fischer also felt they benefited from being able to deploy Harman HiQnet System Architect™. “In the end we benefited by deciding to go with the I-Tech HD amplifiers because we ended up with better audio and we had more control of the amps using System Architect,” Fischer says.